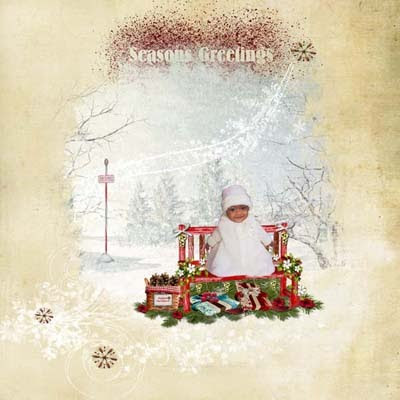 I used Winter Sonata by Phoung at Scrapbookgraphics to create my pages. As always filled with beautiful papers and elements just in time for the holidays. You can pick it up at Scrapbookgraphics.